Maciej Cieśla Paintings and Gallery | Abstract and expressive art by European artist. Modern art. 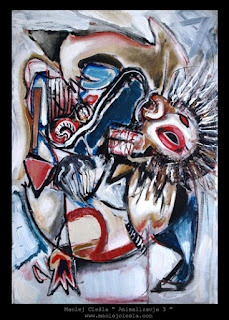 : Modern and expressive paintings. Contemporary abstract art. Modern and expressive paintings. Contemporary abstract art. Maciej Cieśla " Animalizacja 3 ", malarstwo, obraz olejny / akrylowy 60 x 50 cm.